Let me say at the very onset I am very much aware that the closing down of one single public house in College Street Killarney is, in the overall context of events in the great wider world a very minor matter and of little significants to most people. However on the other hand for thousands of others from home and abroad who were fortunate to have frequented this particular house either on a continuous basis or just once in a while during the course of the last fifty two years the demise of this hightly popular institution has left a massive void in many lives. I refer of course to Jimmy o Brien’s renowned football and musical pub which served its last pints last Saturday week, June 8th. Indeed this very newspaper considered the event so momentous that it was granted front page prominence just a couple of week ago. Regular callers to Jimmy’s did not regard the house as just a pub, no; it was so much more than that. It was for many an institution, a place of refuge, a meeting place, a drop off and pick up point, a post office where mail was collected and left, football matches and musical weekends were advertised. GAA clubs weekly lotto cards were always available. 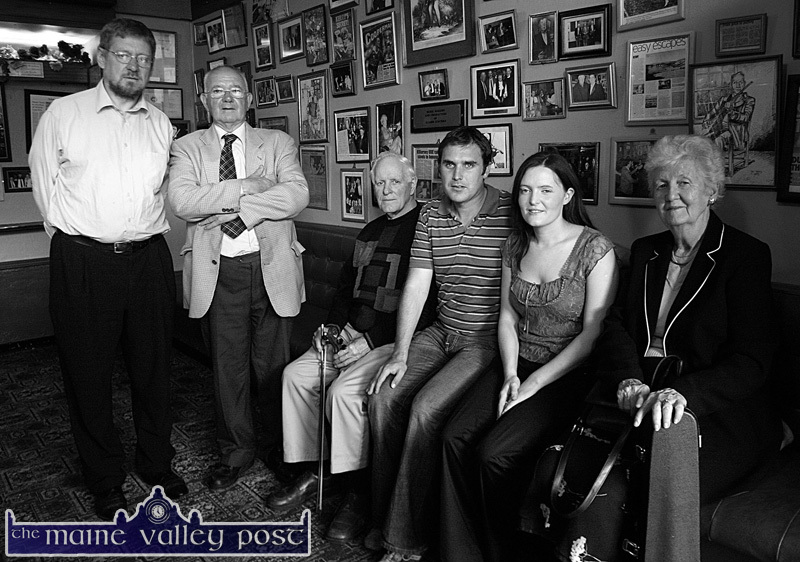 It was in essence a home from home, a place where one could while away the hours participating in conversation where the troubles of the world but in particular Kerry football and traditional music were generally the main topic of conversation. To others it was a refuge from the hustle and bustle of Killarney life. Step inside the brown paneled door and you entered a totally different world. Just a couple of steps from the pavement and you had entered a sanctuary of peace and calm far from the madding crowd. I have even heard mutterings that a preservation order should have bee slapped on the place. And yes, two topics of conversation dominated morning, noon and night here! The first is football, mainly of the Kerry variety. References to Cork or Dublin football are endured only if spoken of in jest or ridicule but despite that a genuine and warm welcome awaited GAA players and followers, past or present, here. This little watering hole has become a place to where many Kerry exiles regularly made a pilgrimage in search of spiritual renewal and sustenance to help them survive in lonely outposts far from the homeland. They returned to their homes in Cork and other strongholds of the enemy fortified with hope and resolve and with a steely glint in the eye after assurances from the several icons of the game who are regulars in Jimmy’s that the Green-and-Gold will rise again! 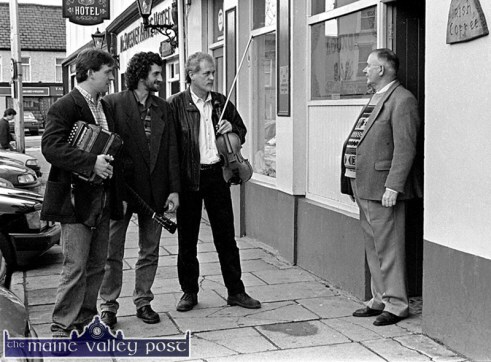 The other passion and topic of discussion here is traditional music and the pub is regarded as the unofficial embassy in Killarney of Sliabh Luachra, an area unusually rich in traditional music and song. But the real secret, the real treasure, the heart and soul of this remarkable establishment lay not with its wonderful furnishings, magnificent creamy pints or the stunning collection of photographs and memorabilia which adorned the walls. Indeed no, the real essence, that special character of the place was inspired by its exemplary owner and landlord Jimmy and his lovely son Jim, or as he is known affectionately to us regulars as “Jim Bob”. It was always for me their forever warm welcome, their cheerfulness, optimism and brightness even during those dark, dreary, gloomy winter days or following demoralizing Kerry defeats which drew the faithful into its comforting embrace. Jimmy o Brien as he often told me “was born on the side of a bog”, Lyretough bog to be precise in the eastern part of Kilcummin parish. His home was a house of music and song and it was here that his tremendous love for all things traditional was engrained into his life. He qualified as a mechanic in Culloty’s garage in Killarney, immigrated later to America with his future wife Mary Cronin who sadly was to die as young woman in later years. They both worked hard far away from their native land and at the first opportunity after two and a half years Jimmy as he remarked to me once “faced the horse for home”. He answered an add in The Kerryman, rang Killarney solicitor Con o Healy who was selling a pub, the deal was struck over the phone and the price was agreed at 2,750 pounds. 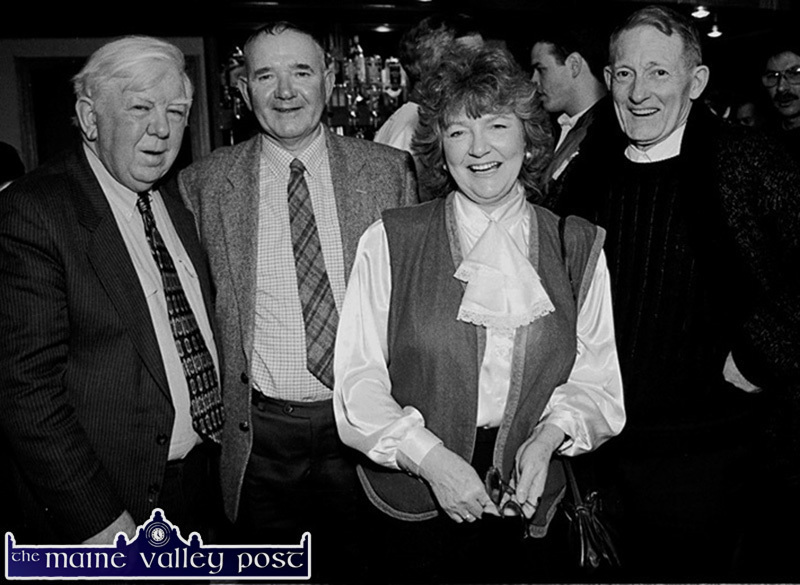 Mary and Jimmy returned in 1961 opened the pub and as they say the rest is history. I have met callers from all over the world in Jimmy’s from both the musical and sporting world. 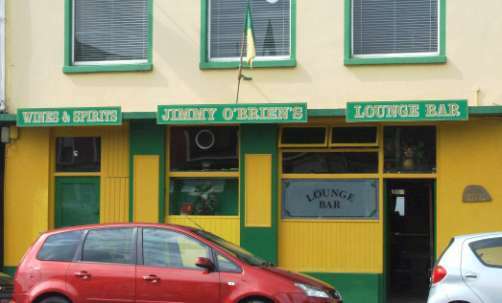 Legendary musicians have all either performed or called to worship at the shrine of Jimmy o Brien’s renowned establishment. Ciaran Mac Mathuna recorded there, Sean o. Riada, Con Houlihan, The Dubliners, Johnny o Leary, Denis Murphy, Jimmy and Paddy Doyle, Johnny o Leary, Liam o Connor and many more too numerous to mention. I have been privileged to have presented two memorable Radio Kerry Terrace Talk shows live from there and was honored to have a galaxy of GAA and Sliabh Luachra legends take part in the programs. When packed with the faithful on such occasions as this it generates this amazing atmosphere which is rarely experienced anywhere else. But of course Kerry football and indeed hurling dominated everything else within those hallowed walls and this message, Jimmy’s all consuming passion for his county was announced loud and clear to one and all in the most blatant manner possible. The building sandwiched between The Royal Hotel and McSweeney’s is painted in the county colors, a beautiful vivid green and gold from top to bottom. Enough said. And boy would you want to know your football from a to z when you venture inside. Frequent visitors included Kerry greatest such as Tom Long, Mick Gleeson, Donie o Sullivan, Ambrose o Donovan, Paudie o Mahoney, Din Joe Crowley and the late Garry McMahon whome I often heard regaling the crowd with one of his fabulous Kerry football songs. On one memorable occasion following some big victory I counted thirty eight All Ireland senior medals having been won by men scattered around the bar. I could literally have written another two thousand words in honor of a man and his place that was for years a massive part of my life. So finally our dearest wish is that Jimmy and his son will have a happy and long retirement and enjoy special times with his family and close friends from the world of the GAA and Sliabh Luachra. No two people deserve it more.